You will kill in this dress. Everyone loves this design. 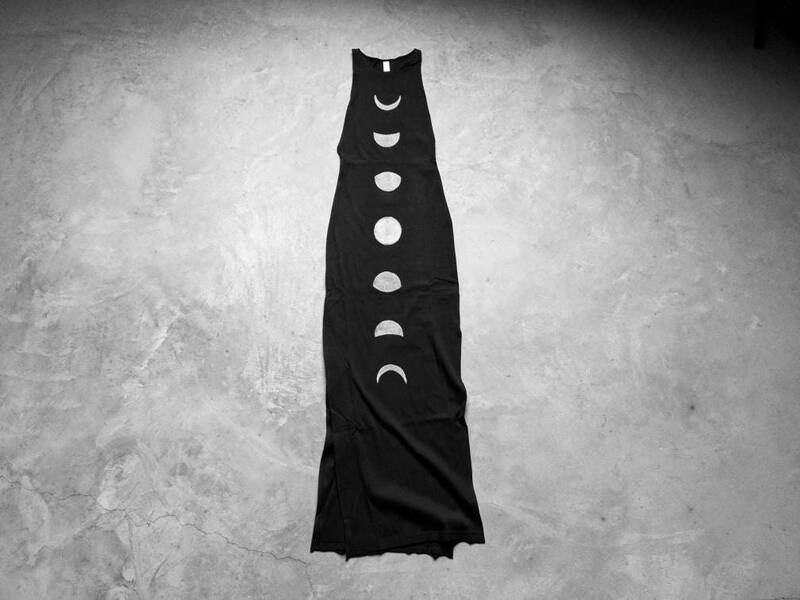 Our hand carved lunar cycle printed down the length of a Tea-length to Maxi dress. 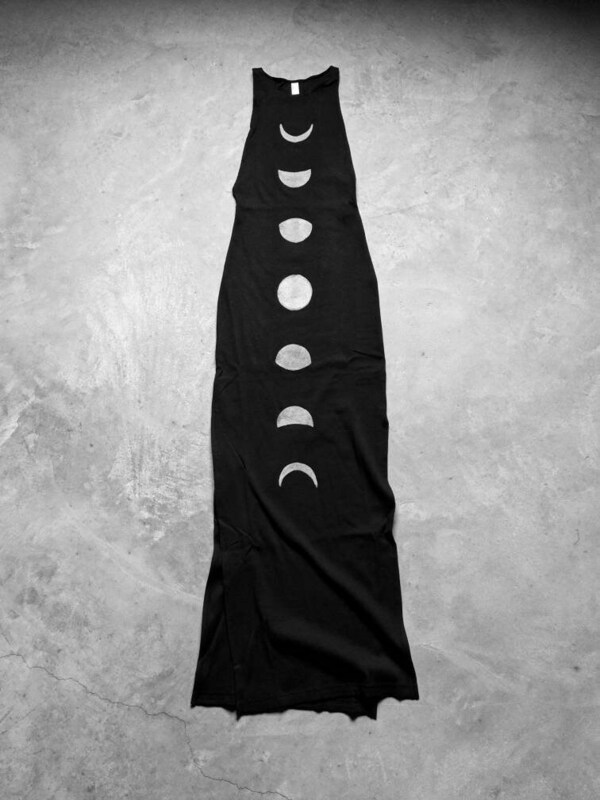 This batch was printed on American Apparel Cotton 2x2 Racerback Dresses. 95% Cotton / 5% Spandex. There is a slit on each side that goes up mid thigh. Natural Waist 24" - 25"
Natural Waist 26" - 27"
Natural Waist 28" - 29"
Natural Waist 30" - 31"
Natural Waist 32" - 33"
A complete size guide can be found on the American Apparel website.